Making alcohol from turbo yeast - how it works and why. Home brewing alcohol chemistry explained. You can of course use a turbo yeast for making alcohol wash without knowing how it works, the instruction is simple enough, just follow it and you will end up with a homebrew wash ready for distillation, or treatment with essences (depending on legality in your country of course). But then it can't hurt to know what you are doing, it may actually help you avoid some pitfalls, especially if you experiment with larger scale fermentations so you have to make up your own instruction for making home brew alcohol. Yeast cells, whether dried or fresh, has one aim in their lives. That is to reproduce and grow into a larger colony. There is no egoism, yeast cells live and think as a colony and the collective goal in life is to get bigger and to live for as long as possible. If there is food (sugar in any form such as pure white sugar, dextrose mononydrate, molasses, fruit juice etc), yest cells will eat and they will reproduce (fast!). With enough supply of sugar, oxygen and some minerals and enzymes, there is a perfect environment and any yeast cells in there will reproduce until there is no more food. That's not what we want of course, we want to make alcohol. We do want a certain reproduction as the amount of yeast we normally add is not enough for the fermentation into alcohol. But once we have enough yeast cells in there, we would prefer it if they converted the sugar into alcohol. The key to this is the amount of oxygen available. Enough oxygen there, and the yeast will only reproduce. The six carbon atoms joined up in a glucose molecule (this is Dextrose sugar - if you use white sugar, it will break down into Glucose first before yeast can start working with it) can be broken up by the yeast, but without enough oxygen present, yeast can only break one of the atoms out. That will create a little growth and the by product we want - ethanol. For all this to work, we need yeast, sugar, water as a base but also the nutrition (a nitrogen source such as diammonium phosphate, vitamins, trace minerals etc). A turbo yeast is a package of yeast (of a particularly good strain for alcohol making) mixed with the essential nutrition required for the alcohol fermentation. The nutrition is the difficult bit, get it slightly wrong and the yeast will produce much less alcohol of inferior quality. Ethanol is the by product we want, but there are other by-products as well. The obvious one is carbon dioxide (CO2) which commonly is what you see as bubbles in your airlock if you make wine. If you put a small obstacle in the way for the CO2, such as an airlock, you will get a protective layer of CO2 inside your fermenter which keeps the oxygen out and prevents infections from other organisms. This is particularly important when fermentation slows down if you leave it there for a while. All alcohol produced by fermentation will contain these volatiles, whether it's commercial wine, beer, cider or home brew. In some cases, the producer depend on the volatiles to create a particular taste - so Whisky tastes very different depending on how it was made, what exact equpment used etc. The smallest change there can make an enormous difference. For homebrew purposes, we don't want that so we aim to make as pure alcohol as possible, then to add the flavour with carefully chosen essences to produce a perfect result. In order to produce really clean alcohol, it is essential to treat it at some stage with charcoal (activated carbon) which removes a lot of impurities. 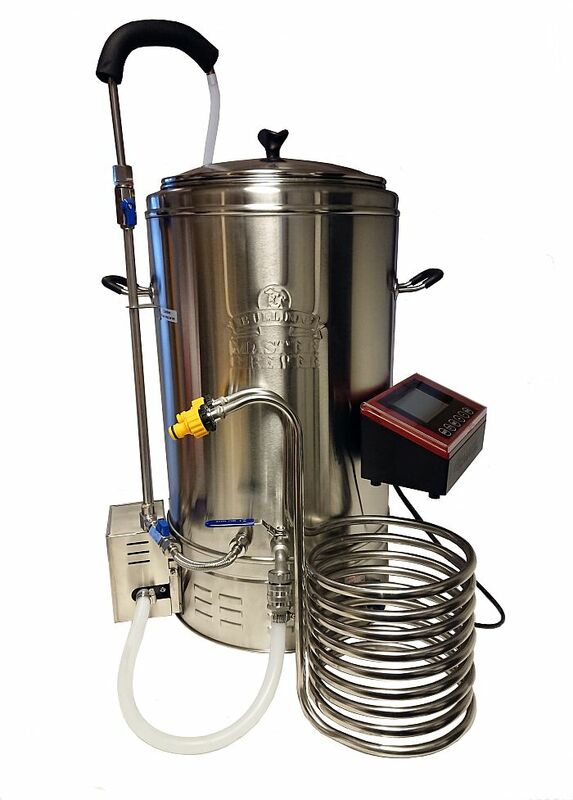 This can be done in the pre-distillation stage (normally by using a liquid activated carbon that is left in the solution for 24-48 hours first) and after distillation (usually granular charcoal filters). Using both will create even better results. Whether you want to use your home brew turbo wash as it is and treat it with essences, or for home distilling to achieve higher alcohol, it is important to get rid of any yeast cells still floating in the wash. You will normally rack off into another vessel, that removes the bottom sediment, but the rest is usually fairly cloudy from yeast cells which are still floating around. In order to clear this in a reasonable time, you need to use finings such as the Alcotec 24 TurboKlar (you could of course also use a wine filter). If you use liquid carbon sometime during the (late) part of the fermentation, the finings will also help removing a lot of that. Clearing your home brew wash, how it all works. Turbo yeast fermentation will produce alcohol, but also by-products such as fusel oils, carbon dioxide and some other volatiles. In order to produce the cleanest possible alcohol, it is important to understand the process and watch out for the pitfalls. Homebrew moonshine distillation.